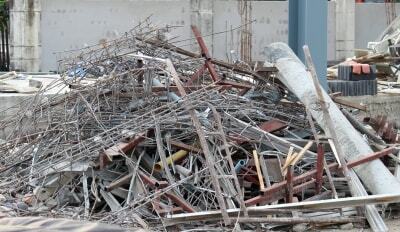 Our debris-removal for your Construction Clean up in Surfside is efficient and affordable. You will love our quick and easy trash-removal services, and you can hire us with confidence knowing that we are both licensed and insured. XS Trash is one of the leading trash-removal companies in Miami and we can handle any job you throw our way. Contact us for more information and receive a free estimate on our great services. We make scheduling an appoint with us as convenient as possible. We have flexible scheduling options, and even same-day debris-removal services for Construction Clean up in Surfside. We fit our services perfectly into your busy construction schedule so you can focus on the task at hand without worrying about dangerous debris getting in your way. XS Trash provides one of the largest truck selections in the industry. Our dump trucks range from standard sizes, all the way to 21-yards in length. With so many recourse at our disposal, no job is too small or too big for us to handle. We even guarantee that you will always get the lowest rates around with us because we will always provide you with the truck that makes your debris removal the most efficient. Larger trucks mean less trips, and less trips mean less money that you need to pay us for our services. If you have any questions at all, our dependable staff is always available to help you with whatever you need. They will not be satisfied until you are completely pleased with the services we provide. Don’t hesitate. Call XS Trash, today, and let us become your go-to trash removal service. We are a licensed and insured Construction Clean Up Surfside, Junk Pickup & Hauling company.